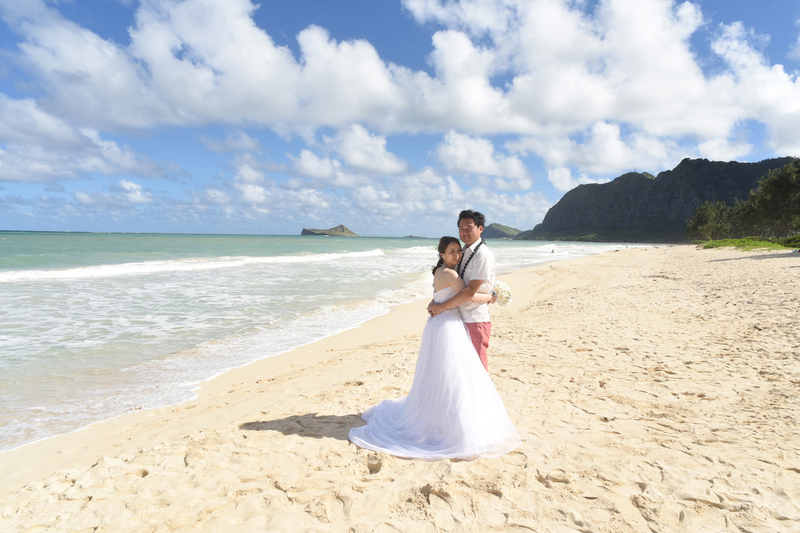 Beautiful walk on the beach at Waimanalo Bay. 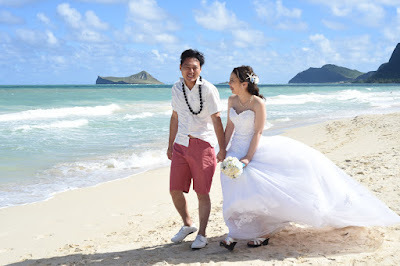 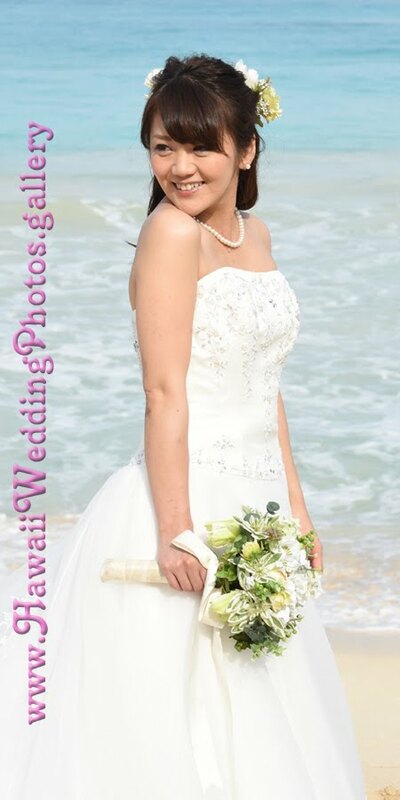 Photographer Robert Hamilton shoots Hawaii wedding photos in East Oahu with Ryota & Yui from Japan. 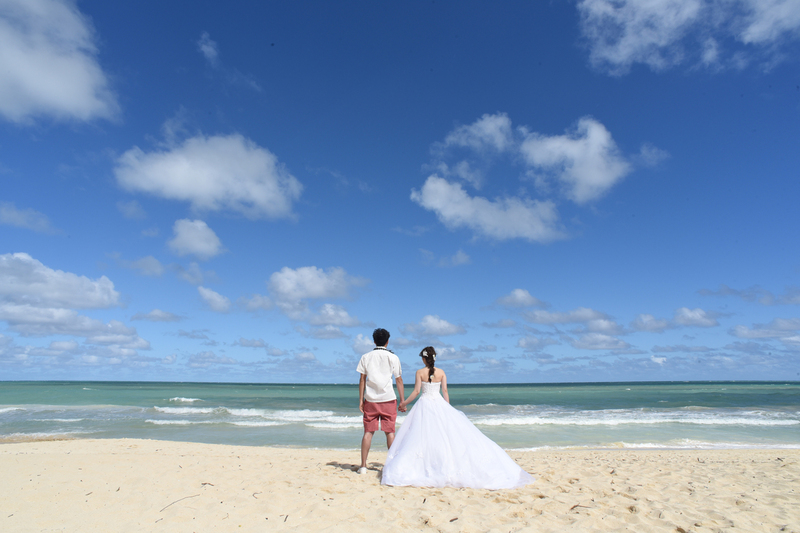 Beautiful puffy clouds. What a photo!